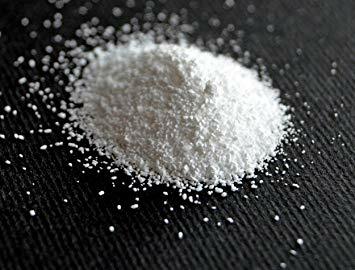 Sodium carbonate, Na2CO3, (also known as washing soda, soda ash and soda crystals, and in the monohydrate form as crystal carbonate) is the water-soluble sodium salt of carbonic acid. Pure sodium carbonate is a white, odourless powder that is hygroscopic (absorbs moisture from the air). It has a strongly alkaline taste and forms a moderately basic solution in water. Sodium carbonate is well known domestically for its everyday use as a water softener, because it can precipitate the calcium and magnesium ions present in “hard” water. Sodium carbonate is also used as a relatively strong base in various settings. For example, it is used as a pH regulator to maintain stable alkaline conditions or as an electrolyte. By far the largest consumption of sodium carbonate is in the manufacture of glass, paper, rayon, soaps, and detergents.